Rosa Barragan received a Woman of the Year award from Assemblymember Ian Calderon in 2015. A raid conducted at the residence of current Norwalk Planning Commissioner and 2016 Cerritos College Board of Trustees candidate Rosa Barragan by Norwalk Sheriff Deputies netted guns, money, and “enough drugs to call the parties involved ‘major players’ in the area,” Hews Media Group-Community News can confirm. Deputies served the search warrant this morning and arrested one man after finding “massive amounts” of contraband. According to public records, Barragan’s parents own the house at 12127 163rd. Rosa Barragan owned 12129 163rd but sold the house to Jina Yang who, according to records, is her niece. Rosa resides at that address. According to the source, the house was raided, Barragan was woken up and taken outside in her pajamas. Three pounds of drugs “other than marijuana” was confiscated along with one gun and a cache of money. When asked if Barragan lived at the house, Jensen once again stated he could not comment. 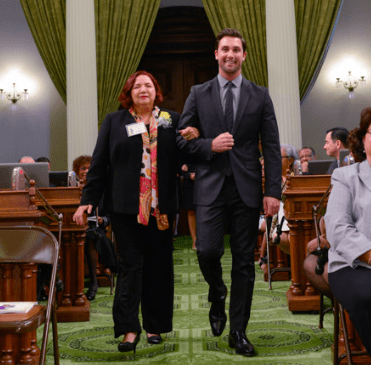 Barragan was honored by Assemblymember Ian Calderon last year as the 57th Assembly District 2015 Woman of the Year. Barragan currently serves as the Norwalk-La Mirada Unified School District’s McKinney-Vento Program Coordinator and is the founding president of the Norwalk League of United Latin American Citizen (LULAC) Council #3148. Her career in education spans 36 years at the Norwalk-La Mirada Unified School District and Cerritos College. Calls into Ms. Barragan went unreturned. Just curious, is Rosa a liberal or conservative? Can’t find out anywhere what way she leans?